THE OFFICE of the Ombudsman for Banking Services yesterday warned South African consumers that banking services were among the many that were affected by the 1%increase in value-added tax (VAT) which became effective on April 1. This comes amid rising costs for petrol, school fees and a range of consumables factored into the increasing cost of living. 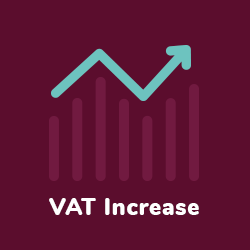 The 2018 Budget speech announced the 1% increase in VAT from 14% to 15%. Banking services ombudsman Reana Steyn said consumers should rework their budgets and remember to include increases in their bank fees due to the VAT increase. "This is a good time to assess the services you require for your personal and business banking needs, to shop around and see which bank has the most affordable fees for your needs," Steyn said. "You may also check with your bank which fees can be negotiated. Banks charge a variety of fees for different types of transactions." It is in your best interests to obtain the bank's list of charges and calculate the least expensive costs for your banking requirements." Most banks have their fees listed on their website so it's quite easy to make comparisons. " Steyn said that the VAT increase will mean that, for instance, a family that pays a bond or rental of R7500 a month, will now pay an additional R75.